What a fun afternoon. I cycled down to the River. Along the tow path past the college boathouses..all flying their college flags.Exams are over and its time for the May Bumps! Let me (try) to explain. 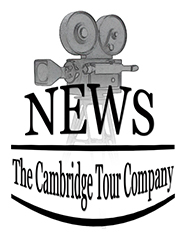 This is four days of racing on the River Cam to determine which college will be crowned Head of the River for 2013. As the Cam is too narrow and bendy to accommodate all the college boats racing abreast..the “Bumps” were devised. 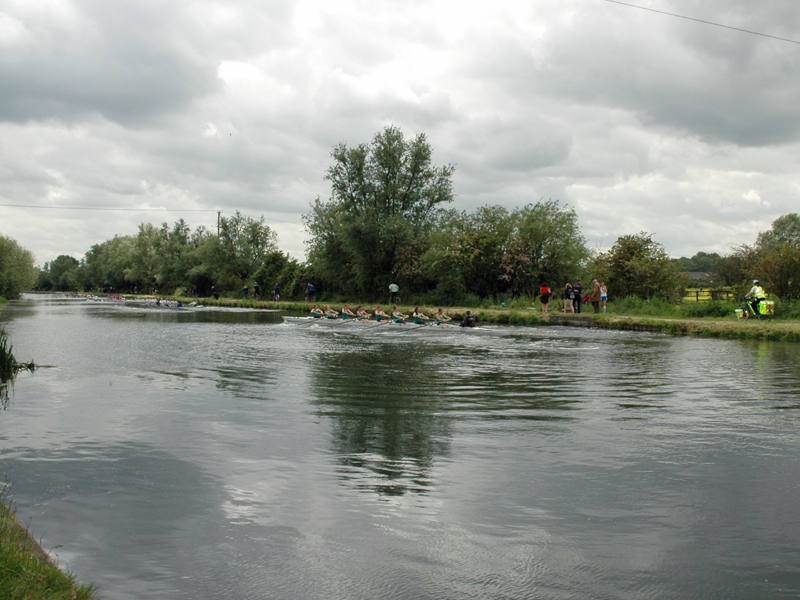 The crew of 8 representing each college make their way to the start at Batesbite Lock. They now take up positions along the bank, about 50 meters apart. When the starting gun sounds its row, row, row..hell for leather. The aim is to catch up with the boat in front of you. If you manage to catch the rival boat it is considered a “Bump”. 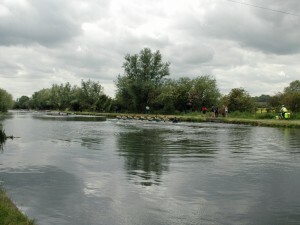 Both crews retire to the bank, whilst the other crews continue the race. A successful bump means you move up one place in your division so at the next in a series of races you start one place higher up the river. There are many crews as each college enters several teams. Once you top your division you can move up into the next division. At the end of the 4 days the team at the top of Division One is awarded “Head of the River”. It’s a colourful and competitive scene. Relief for the students that the exams are over and putting to the test all those early morning training sessions. 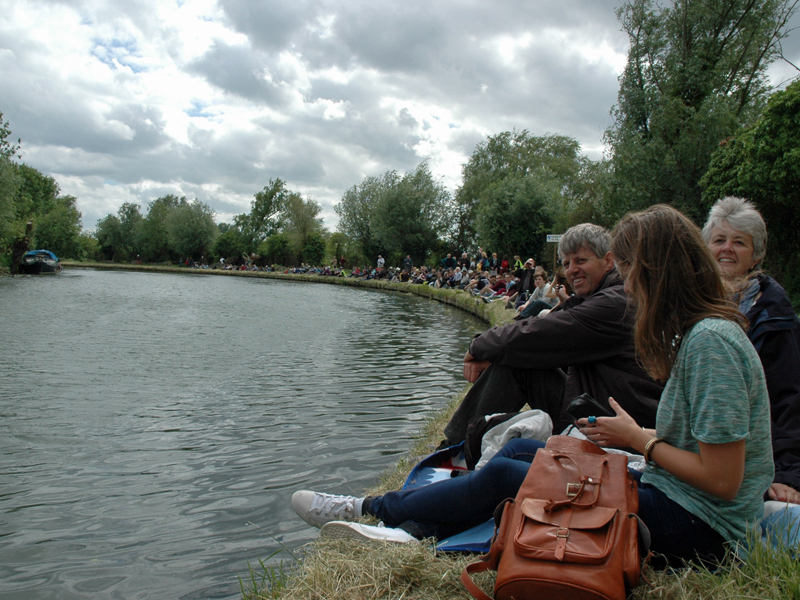 Spectators line the banks to enjoy the occasion or cheer on “their” college crew. The riverside pub at Fen Ditton, The Plough” was a favourite viewing (and drinking) spot.